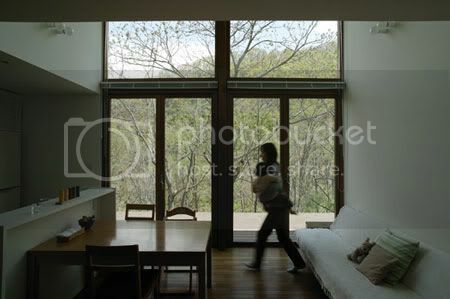 The Koushu house caughts between two worlds: with noisy bustling road at the front but an haven in the backyard with wetlands, forest and a river running through. 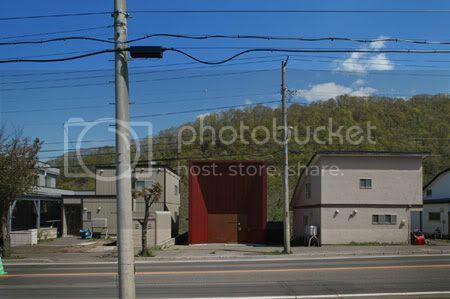 The Koushu House is situated at the bustling road that connecting the west district to the south district of Sapporo City. Having this noisy street in the front and residences on both sides, the site locates in an urban environment. Although in the backyard, it holds rich natural aspects, such as wetlands and forest with meandering of the rivers flowing through the area. There is a “gap” between these differences in this surrounding environment. 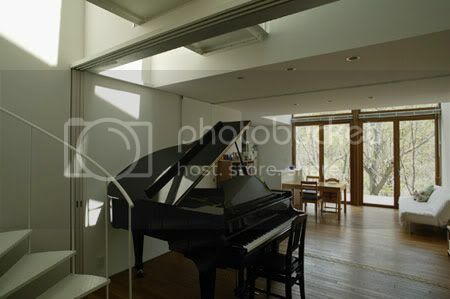 The main theme of this project was to relate the surrounding environment having this “gap”, to the lifestyle of the client ( His hobby is playing contrabass. And his wife’s is playing piano, which she plans to hold a small piano school as her two young daughters grow up and require less care. 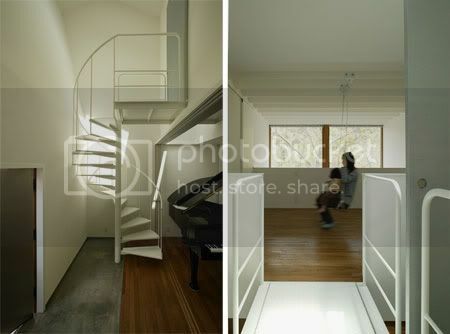 ), and to the internal environment ( noise and heat created inside), within the small budget. 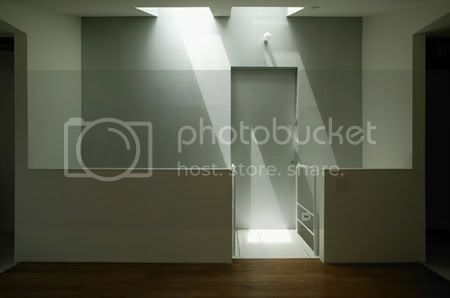 Due to the budget, the house was build in a simplified plan, not by using some equipments or special materials. 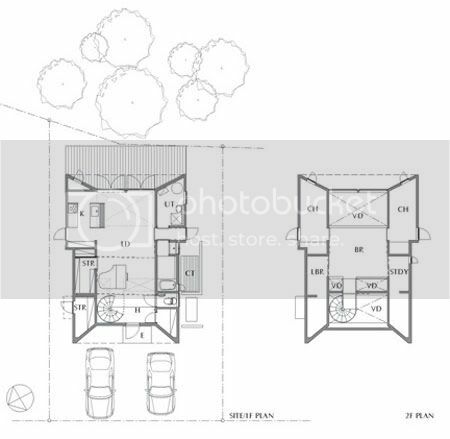 Shinichiro set an “offensive area” where to have the active relation with the sunlight and the natural environment in a backyard, which is placed in the center of U-shaped “defensive area”. The “offensive area” can be adjusted in its size for the different purposes and seasons, by opening and closing the doors, which are the entrance windbreak sliding doors or the wooden sashes facing the deck. The sunlight comes through the wide opened toplight facing the woods. By opening this toplight, the cool air from the river circulates through the wellholes during the summer. During the winter, the wellholes are opened and used to heat up the second level only by using the heat from the floor heating on the first level. In the “defensive area”, storages, laundry room, and restroom are located. This area is a buffering zone for the heat environment of the “offensive area”, a tectonic zone where diagonal bracings of the shorter sides in the building gather, and a soundproofing zone that separates the noise from the traffic in front, and also prevents the instrument sound from leaking to neighborhood. 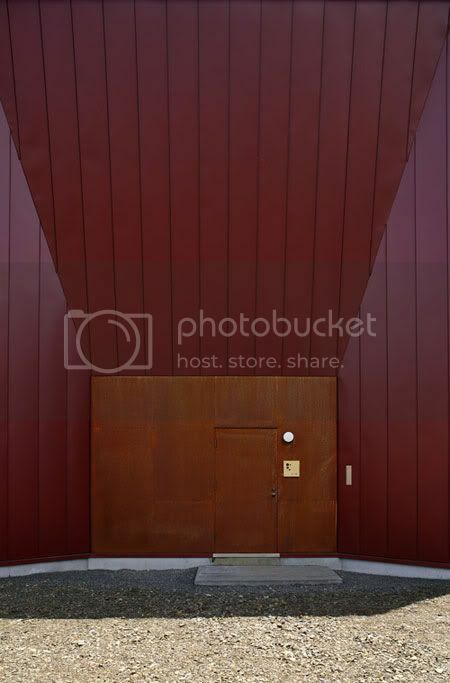 The outer wall of a red rust color makes the building and the green in background to stand out from each other by the complementary color effect. The wall also stands out and shows the children “the place to return” in the white background, when the whole area is covered by the snow in the winter time. 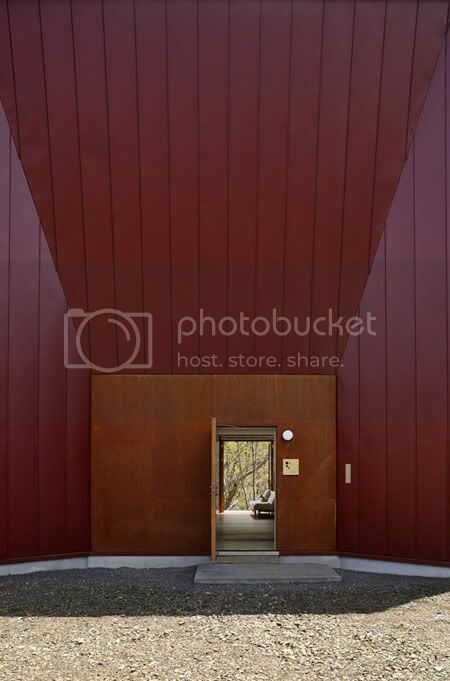 wow, the entrance is very smart..